Monash University (/ˈmɒnæʃ/) is a public research university based in Melbourne, Australia. Founded in 1958, it is the second oldest university in the State of Victoria. The university has a number of campuses, four of which are in Victoria (Clayton, Caulfield, Peninsula, and Parkville), and one in Malaysia. Monash also has a research and teaching centre in Prato, Italy, a graduate research school in Mumbai, India and a graduate school in Suzhou, China. Monash University courses are also delivered at other locations, including South Africa. Monash is home to major research facilities, including the Monash Law School, the Australian Synchrotron, the Monash Science Technology Research and Innovation Precinct (STRIP), the Australian Stem Cell Centre, 100 research centres and 17 co-operative research centres. In 2016, its total revenue was over $2.2 billion dollars (AUD), with external research income around $282 million. In 2016, Monash enrolled over 50,000 undergraduate and over 22,000 graduate students. It has more applicants than any other university in the state of Victoria. Monash is a member of Australia's Group of Eight, a coalition of Australia's eight leading research Universities, a member of the ASAIHL, and is the only Australian member of the M8 Alliance of Academic Health Centers, Universities and National Academies. Monash is one of two Australian universities to be ranked in the École des Mines de Paris (Mines ParisTech) ranking on the basis of the number of alumni listed among CEOs in the 500 largest worldwide companies. The original campus was in the City of Clayton. The university was granted an expansive site of 100 hectares of open land in Clayton. The 100 hectares of land consists of the former Talbot Epileptic Colony. From its first intake of 357 students at Clayton on 13 March 1961, the university grew rapidly in size and student numbers so that by 1967, it had enrolled more than 21,000 students since its establishment. In its early years, it offered undergraduate and postgraduate degrees in engineering, medicine, science, arts, economics, politics, education, and law. It was a major provider for international student places under the Colombo Plan, which saw the first Asian students enter the Australian education system. In its early years of teaching, research and administration, Monash was not disadvantaged by entrenched traditional practices. Monash was able to adopt modern approaches without resistance from those who preferred the status quo. A modern administrative structure was set up; Australia's first research centres and scholarships devoted to Indigenous Australians were established. 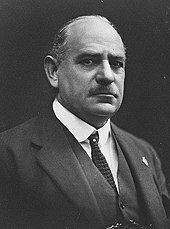 The university was named after the prominent Australian general Sir John Monash. This was the first time in Australia that a university had been named after a person, rather than a city or state. From the mid-1960s to the early 1970s, Monash became the centre of student radicalism in Australia. It was the site of many mass student demonstrations, particularly concerning Australia's role in Vietnam War and conscription. By the late 1960s, several student organisations, some of which were influenced by or supporters of communism, turned their focus to Vietnam, with numerous blockades and sit-ins. In one extraordinary event that came to be known as the Monash Siege, students forced then Prime Minister Malcolm Fraser to hide in a basement at the Alexander Theatre, in a major protest over the Whitlam dismissal. In the late 1970s and 1980s, some of Monash's most publicised research came through its pioneering of in-vitro fertilisation (IVF). Led by Carl Wood and Alan Trounson, the Monash IVF Program achieved the world's first clinical IVF pregnancy in 1973. In 1980, they delivered the first IVF baby in Australia. This eventually became a massive source of revenue for the university at a time when university funding in Australia was beginning to slow down. In the late 1980s, the Dawkins Reforms changed the landscape of higher education in Australia. Under the leadership of Vice-Chancellor Mal Logan, Monash transformed dramatically. In 1988, Monash University had only one campus in Clayton, with around 15,000 students. Just over a decade later, it had 8 campuses (including 2 overseas), a European research and teaching centre, and more than 50,000 students, making it the largest and most internationalised Australian university. Expansion of the university began in 1990 with a series of mergers between Monash, the Chisholm Institute of Technology, and the Gippsland Institute of Advanced Education. In 1991 a merger with the Victorian College of Pharmacy created a new faculty of the university. This continued in 1994, with the establishment of the Berwick campus. In 1998, the university opened the Malaysia campus, its first overseas campus and the first foreign university in Malaysia. In 2001, Monash South Africa opened its doors in Johannesburg, making Monash the first foreign university in South Africa. The same year, the university secured an 18th-century Tuscan palace to open a research and teaching centre in Prato, Italy. At the same time, Australian universities faced unprecedented demand for international student places, which Monash met on a larger scale than most. Today, around 30% of its students are from outside Australia. Monash students come from over 100 different countries, and speak over 90 different languages. The increase in international students, combined with the university's expansion, meant that Monash's income greatly increased throughout the 1990s, and it is now one of Australia's top 200 exporters. In recent years, the university has been prominent in medical research. A highlight of this came in 2000, when Alan Trounson led the team of scientists which announced to the world that nerve stem cells could be derived from embryonic stem cells, a discovery which led to a dramatic increase in interest in the potential of stem cells. It has also led to Monash being ranked in the top 20 universities in the world for biomedicine. On 21 October 2002 Huan Yun "Allen" Xiang, shot two people dead and injured five others on the Clayton campus. Since December 2011, Monash has had a global alliance with the University of Warwick in the United Kingdom. In 2014, the university ceded its Gippsland campus to Federation University. On 15 July 2016, Monash confirmed that Federation University Australia would take over the operations of the Berwick campus prior to the end of 2018. The Clayton campus covers an area over 1.1 km² and is the largest of the Monash campuses. Clayton is the flagship campus for Monash, demanding higher ATAR (Australian Tertiary Admission Rank) scores than all the other campuses, with the exception of Parkville. Clayton is home to the faculties of Arts, Business & Economics, Education, Engineering, IT, Law, Medicine, Nursing and Health Sciences and Science. The Clayton campus has its own suburb and postcode (3800). Various major scientific research facilities are located on or adjacent to the campus. Chief among these are the Australian Synchrotron and CSIRO. The campus is also home to numerous restaurants and retail outlets, as well as student bars Sir John's (located in the Campus Centre) and the Notting Hill Hotel (founded in 1891), both of which are hubs of social life on the campus. The campus is also home to a number of halls of residence, colleges and other on-campus accommodation that house several thousand students. Six halls of residence are located at the Clayton campus in Clayton, Victoria. There is an additional private residential college affiliated with the university. The Clayton campus contains the Robert Blackwood Hall, named after the university's founding chancellor Sir Robert Blackwood and designed by Sir Roy Grounds. The Caulfield campus is Monash University's second largest. Its multifaceted nature is reflected in the range of programs it offers through the faculties of Arts, Art Design & Architecture (MADA), Business & Economics, Information Technology and Medicine, Nursing and Health Sciences. A major building program has been announced, to expand teaching facilities, provide student accommodation and redevelop the shopping centre. The Peninsula campus has a teaching and research focus on health and wellbeing, and is a hub of undergraduate and postgraduates studies in Nursing, Health Science, Physiotherapy, Occupational Therapy and Psychology – and particularly in Emergency Health (Paramedic) courses. The campus is located in the bayside suburb of Frankston on the edge of Melbourne. Peninsula campus also offers a range of courses including those from its historic roots with early childhood and primary education (during the 1960s and 1970s the campus was the State Teachers' College), and Business & Economics (since the merger of the State Teachers' College with the Caulfield Institute of Technology to create the Chisholm Institute of Technology in 1982). The campus was also home to the Peninsula School of Information Technology, which in 2006 was wound back with Information Technology units previously offered being relocated to the Caulfield campus. Located in The Alfred Hospital, Monash University's Alfred campus houses the Central Clinical School and the School of Public Health and Preventive Medicine, which contains the Department of Epidemiology and Preventive Medicine and the Department of Forensic Medicine. The Parkville campus is situated in the Melbourne suburb of Parkville, around 2 km north of the Melbourne CBD on Royal Parade. The campus is the home of the Faculty of Pharmacy and Pharmaceutical Sciences. The faculty specialises in the areas of formulation science and medicinal chemistry and offers the Bachelor of Pharmacy and Bachelor of Pharmaceutical Science undergraduate degrees, the latter replacing the Bachelor of Formulation Science in 2007 and the Bachelor of Medicinal Chemistry in 2008. Double degrees are also offered including the Bachelor of Pharmacy/Commerce with the Business and Economics faculty at Clayton, and also the Bachelor of Engineering/Pharmaceutical Science with the Engineering faculty. 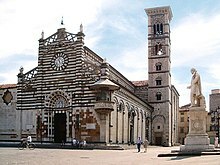 It also offers postgraduate degrees. The centrally located Monash Law City Campus houses the postgraduate Faculty of Law. It provides teaching for the Monash Law Masters and JD programmes. The Monash University Malaysia campus opened in 1998 in Bandar Sunway, Selangor, Malaysia. The Sunway campus offers various undergraduate degrees through its faculties of Medicine and Health Sciences, Engineering, Information Technology, Business, and Arts and Sciences. It is currently home to over 7,636 students. The new purpose-built campus opened in 2007, providing a high-tech home for Monash in Malaysia. In addition to a wide range of undergraduate degrees, the campus also offers both postgraduate Masters and PhD programs. Its degrees in Medicine and Surgery are the first medical degrees outside Australia and New Zealand to be accredited by the Australian Medical Council. In August 2013 Monash University announced it had entered a partnership that will enable its South African presence to grow and enhance its educational offering. The partnership is with Laureate International Universities. 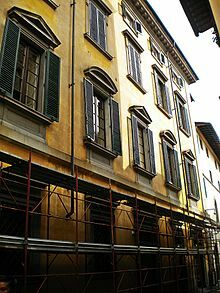 The Monash University Prato Centre is located in the 18th-century palace, Palazzo Vaj, in the historic centre of Prato, a city near Florence in Italy. Primarily, it hosts staff and students from Monash's other campuses for semesters in Law, Art Design & Architecture, History, Music, and Criminology as well as various international conferences. It was officially opened on 17 September 2001 as part of the university's vigorous internationalisation policy. The IITB-Monash Research Academy opened in 2008 and is situated in Mumbai, India. It is a partnership between Monash and the Indian Institute of Technology Bombay. It aims to carry out high impact research in engineering and sciences, particularly clean energy, biotechnology and nanotechnology. Students undertake their research in both India and Australia, with supervisors from both Monash and IITB. Upon graduating, they receive a dual PhD from the two institutions. In the month following its official opening, 36 joint projects had commenced, with a further several hundred planned. In August 2015 Christopher Pyne, Australian Minister for Education and Training, officially opened the new Monash-IITB Research Academy Building in Mumbai, India. In 2012, it was announced that Monash had won a licence to develop a joint graduate school with Southeast University in the Suzhou Industrial Park in Jiangsu Province. The Southeast University-Monash University Joint Graduate School is the first Australian university, and the third foreign university, to win a licence to operate in China. The school offers master's degrees and PhDs in science and engineering, with an initial cohort of 500 students, building up to 2000 in the years to come. As part of the university's expansion in the 1990s, Monash took over the operations of the Gippsland Institute of Advanced Education in 1990. The commitment to regional higher education on the part of the university was a progressive and bold step, however, the operation of the Gippsland campus was always fraught with some tension between the priorities of the metropolitan-centred campuses at Clayton and Caulfield versus the needs and aspirations of the regional one. The Gippsland campus of Monash University was the mainstay of the university's commitment to distance education, pioneering courses such as journalism, multimedia, fine arts, and outdoor sport and recreation. Between 2005 and 2010, many of these programs were transferred to city campuses, thus losing their distinctive regional flavour. At its peak enrolment in 2007, the campus was home to 2,000 on-campus students, 5,000 off-campus students and nearly 400 staff. 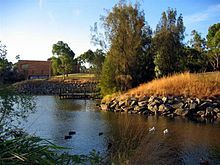 The campus sits in the Latrobe Valley town of Churchill, 142 km east of Melbourne on 63 hectares of landscaped grounds. Until 2014 it was the only non-metropolitan campus of Monash University. The campus offered many undergraduate degrees, attracting students from the Latrobe Valley, East and West Gippsland. Ballarat University joined with Monash University Gippsland campus to form a new regional university known as Federation University Australia from 1 January 2014. As of that date, Monash began the process of teaching out its courses at Gippsland with only a medical school presence to remain after the merger. The former Berwick campus of Monash University was built on the old Casey airfield in the south-eastern growth corridor of Victoria, Australia. The town of Berwick has experienced an influx of people and development in recent times, which includes the new campus of Monash University. With a presence in the area since 1994, the first Monash Berwick campus building was completed in 1996 and the third building in March 2004. It was situated on a 55-hectare site in the City of Casey, then one of the three fastest growing municipalities in Australia. Monash announced the closure of this campus to staff and students on 7 March 2016. On 15 July 2016 it was announced that Federation University Australia would take responsibility for the Berwick Campus from 2017 pending government approvals. This officially commenced on 1 January 2018, as a campus of Federation University Australia. Monash is divided into 10 faculties. These incorporate the university's major departments of teaching and research centres. Various other academic organisations exist alongside the faculties and research centres. Monash College provides students with an alternative point of entry to Monash University. The institution offers pathway studies for students who endeavour to undertake studies at one of Monash's campuses. The College's specialised undergraduate diplomas (Diploma Part 2 is equivalent to first-year university) provide an alternative entry point into more than 60 Monash University bachelor degrees, taught intensively in smaller classes and an environment overall similar to that offered by the university. Monash College offers programs in several countries throughout the world, with colleges located in Australia, China, Malaysia, India, Italy and South Africa. The vice-chancellor is the chief executive of the university, who is head of Monash's day-to-day activities. The vice-chancellor is also the university president of Monash. In North America and parts of Europe, the equivalent role is the president or principal. The current vice-chancellor and president is Margaret Gardner. She was named as the vice-chancellor and president in December 2013. She is the first woman to hold the position and commenced in September 2014. The chancellor is chair of the university council and provides advice to the vice-chancellor, as well as having ceremonial duties. The Good Universities Guide places the Clayton, Caulfield, Parkville and Peninsula campuses of Monash in the category of universities which are most difficult to gain admission to in Australia, with each campus receiving an Entry Standards mark of 5/5. Monash has the highest demand for places among high school graduates of any university in Victoria. In 2009, one in four applicants put Monash as their first preference. This equates to more than 15,000 first preferences from Victorian high school leavers. Of the top 5% of high school graduates in Victoria, more choose Monash than any other institution. In 2010, almost half of the top 5% of high school leavers chose to attend Monash – the highest of any Victorian university by quite some margin. In 2009, among students with a "perfect" ENTER score of 99.95 (i.e. students in the top 0.05% of high school applicants), 63 made an application for Monash. Times Higher Education ranked Monash University Australia's leading university in Engineering and Technology in 2016. In 2018, QS World ranked Monash University #2 globally for Pharmacy & Pharmacology, and #26 globally for Law. Monash University staff produce over 3,000 research publications each year, with research conducted in over 150 fields of study. Monash is home to over 120 research centres and institutes. Major interdisciplinary research centres include the Monash Biomedicine Discovery Institute, the Monash University Accident Research Centre and the Monash Centre for Synchrotron Science. Some notable research centres also located at or affiliated with Monash University include the Australian Regenerative Medicine Institute, the Castan Centre for Human Rights Law, the Melbourne Centre for Nanofabrication and the Monash Institute of Medical Research. Some of the university's notable research achievements include the world's first IVF pregnancy, the first seatbelt legislation, the discovery of the anti-influenza drug Relenza (Zanamivir), the discovery that nerve stem cells could be derived from embryonic stem cells and the development of a single-use oral anti-malaria drug. Monash University Library currently operates several libraries at all of its campuses, spanning over 3 continents. Monash University Library has over 3.2 million items. Located at the Sir Louis Matheson Library on the Clayton Campus, the Rare Books Collection consists of over 100,000 items, valued because of their age, uniqueness or physical beauty, which can be accessed by Monash staff and students. The collection was started in 1961 when the university librarian purchased original manuscripts by Jonathan Swift and some of his contemporaries. The collection now consists of a range of items including photography, children's books, 15th- to 17th-century English and French literature, original manuscripts and pamphlets. A variety of exhibitions are hosted throughout the year in the Rare Books area. 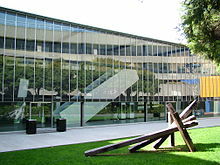 The Monash University Museum of Art (MUMA) was founded in 1961 and is located on the university's Caulfield Campus. The establishment of the Museum reflected a desire by the university's founders for students to obtain a broad education, including an appreciation and understanding of the arts. Its collection has now grown to over 1500 works, including a variety of items from artists such as Arthur Boyd, William Dobell, Sidney Nolan, Howard Arkley, Tracey Moffatt, John Perceval, Fred Williams and Bill Henson. While the gallery's focus is on contemporary Australian art, it houses a number of international works and exhibitions. It hosts regular exhibitions which are open to Monash students and staff, as well as the general public. The current Curator of the Museum is Charlotte Day. The Switchback Gallery was opened in 1995 in the landscaped gardens of the university's Gippsland Campus. It hosts a diverse range of exhibitions each year, from work by Monash students, to displays by international artists. Known as the Faculty Gallery between 1999 and 2012, MADA Gallery is a contemporary art gallery located at the university's Caulfield Campus. Showcasing a range of media including painting, tapestry, printmedia, ceramics, jewellery, photomedia, industrial design, Interaction design, architecture, digital media and installation from local and international artists and designers, the Gallery is the public face of the Faculty of Art, Design & Architecture. Previous exhibited artists have included Bill Viola, Hannah Wilke, Bruce Nauman, Alex Martinis-Roe, Arthur Boyd, Karel Martins, Adam Cruickshank, Nathan Gray, Sonia Leber & David Chesworth, Jill Orr and Nobuhiro Shumura. MADA Gallery regularly collaborates with other arts organisations and museums to present the newest contemporary art. In 2011 Monash had over 63,000 students across its campuses. Of these, around 46,000 are undergraduate students, 12,500 are graduate or postgraduate and 4,500 are undertaking higher degrees by research. Around 65% of Monash students have domestic citizenship (i.e. they are citizens of the country in which their main campus is located). Around 39% are international students. The international students are from over 100 different countries and speak around 90 different languages. Over 50% of Monash students have a language other than English as their mother language. Monash students are represented by the Monash Student Association in individual campus organisations and the university-wide Monash Postgraduate Association. Monash students are also represented by academic associations and societies. These groups organise social events and represent student interests to the faculty among other goals. Sport at Monash University is overseen by Monash Sport, a department of the university which employs over 200 staff. Currently, there are over 50 sporting clubs at the university. Each campus has a range of sporting facilities used by students and staff, including football, cricket, hockey, soccer, rugby and baseball fields; tennis, squash and badminton courts; gyms and swimming pools. The university also had an alpine lodge at Mount Buller until the end of 2011. Monash's sporting teams compete in a range of local and national competitions. Monash sends the largest number of students of any Australian university to the Australian University Games, in which it was Overall Champion in 2008 and 2009. Facilities at Monash are often used by a range of professional sporting teams. For example, the Australia national association football team, the Socceroos, used the Clayton campus and trained on-site in South Africa for the 2010 FIFA World Cup. Mannix College, founded in 1969 and owned by the Catholic Church was originally an all-male college administered by the Dominican order. Mannix is also affiliated with the university. Marist College, founded by the Marist order, was established in November 1969 as a traditional all-male college, with an attached seminary. Marist College had closed by 1978, the university subsequently purchasing the college and naming it Normanby House. The Gippsland campus had on-campus accommodation including the self-catering West House and East House. Monash University has two Non-Residential Colleges that were established in 2013. They are Pegasus College at the Caulfield Campus, and Orion College at the Clayton Campus. 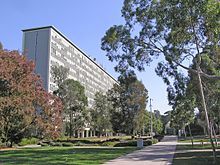 Howitt Hall is the tallest Monash residential building, standing 12 stories high, with a good view of the other halls and the university. As with Deakin Hall, Farrer Hall, Roberts Hall, Richardson Hall and Normanby House, Howitt Hall is a traditional hall of residence. It is the third oldest hall, and was opened in September 1966. The hall is named after Alfred Howitt, a scholar and prominent figure in early Gippsland. Farrer Hall was officially opened in 1965. It is divided into two buildings, Commons and Lords, with an annexe to Commons called Chastity which is located above the common room. The hall's design, like that of Deakin Hall, Howitt Hall and Normanby House, is traditional, with corridors on each floor and kitchens, laundries and common rooms shared across them. The hall was named after William Farrer, who developed many strains of wheat suited to Australian conditions. Richardson Hall (Richo) was established in 1972. The hall was designed with stairwells rather than corridors, and originally had its own dining hall. Richardson is home to 190 residents. The hall is named after Ethel Florence Lindesay Richardson, a prominent Australian author who adopted the male pseudonym Henry Handel Richardson. Deakin Hall was officially opened in September 1962 and was Australia's first co-educational University residence hall - although the women and men were housed on separate floors. The hall consists of two wings - Old Deakin and New Deakin - which form a large courtyard. Old Deakin contained the hall's Dining Hall which operated for some years before a nearby separate central dining building complex was built c. 1966. The new complex housed individual dining rooms for Deakin Hall, Farrer Hall and Howitt Hall which were all linked via a common kitchen. Deakin Hall was named after Alfred Deakin, Prime Minister from 1903–1910 and father of the Australian Constitution. Roberts Hall is named after Tom Roberts, an Australian artist who was affectionately known as "the bulldog". Founded in 1971, the hall was designed with stairwells rather than corridors, and originally had its own dining hall. The hall's mascot is a bulldog in recognition of the nickname of its namesake - Tom Roberts. Jackomos Hall and Briggs Hall are twin residences which opened in 2012. They are named after two prominent Indigenous women, Merle Jackomos and Geraldine Briggs. Campbell Hall, Holman Hall, Logan Hall and Turner Hall are the most recently built halls at Monash. Mannix College is a Catholic residential college affiliated with Monash, located near the south-western corner of the university's Clayton campus. Established in 1969, the college was originally an all-male foundation. Mannix's college motto "Omnia Omnibus" means "All things to all People". The shield of Mannix College combines elements of Archbishop Daniel Mannix - after whom the college was named - Sir John Monash and the Dominican Order. From the shield of Mannix the gryphon and crescents are taken together with the motto. The shield of Sir John Monash, used by the university named after him, shows the inverted chevron, the Southern Cross, the open book and sword in pale blue surrounded by a crown of laurel. The black-and-white border is drawn from the shield of the Dominican Order. Normanby House was first established as Marist College. It was founded by the Marist order and was established in November 1969 as a traditional all-male college, with an attached seminary. Marist College had closed by 1978, the university subsequently purchasing the college and naming it Normanby House. 1100 Monash graduates (or 8.33% of the total biographical listings) are listed among the 13,200 biographies of Australia's most notable individuals in the 2008 edition of Who's Who in Australia. Likewise, 10% of Australia's top 50 CEOs completed their undergraduate degree at Monash. Notable graduates in politics include: Bill Shorten, Australian Leader of the Opposition; Daniel Andrews, Premier of Victoria; Richard Di Natale, Leader of the Australian Greens; Josh Freydenberg, Treasurer of Australia; Senator for Victoria; Adam Bandt, Australian Greens Member of Parliament for Melbourne; Anna Burke, former Speaker of the Australian House of Representatives; Boediono, Vice President of Indonesia; Simon Crean, former Cabinet Member in the Rudd Government and Gillard Government; David de Kretser, former Governor of Victoria; Lim Guan Eng, Minister of Finance, Malaysia; Robert Doyle, former Lord Mayor of Melbourne and Marlene Moses, United Nations Ambassador for Nauru. Graduates in scientific fields include: Alan Finkel, Chief Scientist of Australia; Ian Meredith, Global Chief Medical Officer and Executive Vice President, Boston Scientific; Tim Flannery, scientist, ecology activist; Brad McKay, doctor, author and television personality; Tilman Ruff, founding chair of International Campaign to Abolish Nuclear Weapons, infectious diseases and public health physician and Ranjana Srivastava, oncologist and author. Graduates in entertainment include: Doug Chappel, comedian and actor; David Williamson, playwright; Andrew Daddo, actor, voice artist, author and television personality and Vance Joy, singer songwriter. Graduates in other fields include: Peter Costello, businessman, political commentator and longest-serving Treasurer of Australia; Ian MacFarlane, economist, Governor of the Reserve Bank of Australia (1996–2006); George Pell, present Australian Cardinal of the Catholic Church; Anne Ferguson, Chief Justice of Victoria and Marilyn Warren, 11th and first female Chief Justice of Victoria. Notable current staff members at Monash include: Waleed Aly, Muslim community leader; Kate Burridge, linguist; John Brumby, former Premier of Victoria; Ken Coghill, former Speaker of the Parliament of Victoria; Michael Cowley, physiologist; Raymond Finkelstein, former Justice of the Federal Court of Australia; George Hampel, former Justice of the Supreme Court of Victoria; Yew-Kwang Ng, economist; Graeme Pearman, climate change scientist; Andrew Prentice, mathematician; Kathy Temin, artist; John Thwaites, environmentalist, former Deputy Premier of Victoria; Christopher Weeramantry, judge and former Vice-President of the International Court of Justice. ^ The coat of arms were granted on 20 November 1963. ^ Monash University, Calendar of Monash University 1964 (Clayton, Vic: Monash University, 1964), 11. Retrieved 12 November 2015. ^ a b "Who we are". Monash University. Retrieved 10 December 2017. ^ "Finance 2017" (PDF). Department of Education (Australia). ^ "Professor Margaret Gardner AO incoming Vice-Chancellor" (Press release). Monash University. ^ a b c d "Monash at a glance". Monash University. Retrieved 30 October 2017. 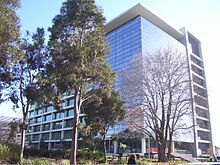 ^ "Monash Research Centres". Monash University. Retrieved 9 November 2013. ^ a b "Home - University Planning and Statistics" (PDF). ^ a b c "2016 Student Profile" (PDF). Monash University. 30 June 2017. ^ "Professional ranking of world universities". Mines ParisTech. 2009. ^ "History of the Clayton campus". Monash University. 10 February 2010. Retrieved 1 April 2010. ^ "Waverley – Mulgrave – Monash City Schools". Waverley Historical Society. Retrieved 5 July 2012. ^ "Monash University Act 2009". AUSTLII. Retrieved 8 June 2014. ^ "Sir John Monash". Monash University. Retrieved 3 November 2018. ^ "List of Australian Universities with date of foundation" (PDF). Griffith University. Archived from the original (pdf) on 7 October 2009. Retrieved 7 April 2010. ^ ""Communism" – An exhibition of highlights from the Monash University Library Rare Books Collection". Monash University Library. 21 October 2010. Archived from the original on 6 October 2009. Retrieved 1 April 2010. ^ "Where have all the rebels gone?". The University of Sydney. 20 June 2007. Archived from the original on 10 December 2007. Retrieved 1 April 2010. ^ Gregory, Alan. "About the Trust". Sir Robert Menzies Lecture Trust. Archived from the original on 11 September 2009. Retrieved 1 April 2010. ^ Anns, Robyn (20 October 2005). "Those were the days". Monash Magazine. Monash University. Retrieved 1 April 2010. ^ "Once were campus warriors". The Age. Melbourne. ^ "1973 – World's first IVF pregnancy". Monash University. 3 July 2009. Archived from the original on 7 June 2011. Retrieved 1 April 2010. ^ "History of IVF – Our Contribution". Monash IVF Australia. Archived from the original on 15 September 2009. Retrieved 1 April 2010. ^ Marginson, Simon (2000). Monash: Remaking the University. St Leonards, NSW, Australia: Allen & Unwin. p. 97. ISBN 978-1-86508-268-4. ^ "Brief history of Monash". Monash University. 10 November 2009. Archived from the original on 14 April 2009. Retrieved 1 April 2010. ^ "The History of Monash - Monash University". ^ "Monash Statistics". Monash University. 10 November 2009. Retrieved 1 April 2010. ^ Marginson, Simon (25 February 2010). "Monash University". The Encyclopedia of Melbourne Online. School of Historical Studies. Retrieved 1 April 2010. ^ "Victoria to Host Key Seminars at BIO2006". 10 April 2006. Archived from the original on 23 June 2009. Retrieved 1 April 2010. ^ "Monash academic to head Victoria's Regenerative Medicine Institute". Monash Memo. Monash University. 9 May 2007. Archived from the original on 11 May 2013. Retrieved 16 August 2013. ^ "Gunman 'indiscriminately' kills students". The Age. Melbourne. 21 October 2002. Retrieved 7 April 2010. ^ "Monash Warwick Alliance". Archived from the original on 18 October 2012. Retrieved 11 March 2013. ^ "Ballarat University set to take over Monash Gippsland". Australian Broadcasting Corporation. 22 February 2013. ^ "History of the Australian Synchrotron". Australian Synchrotron. Archived from the original on 6 July 2009. Retrieved 1 April 2010. ^ thenott (18 August 2003). "Home of the Notting Hill Hotel – Melbourne, Australia". The Nott. Archived from the original on 12 October 2010. Retrieved 22 December 2011. ^ "~ Notting Hill Hotel, Notting Hill, Melbourne ~ Review and Details". Melbournepubs.com. Retrieved 22 December 2011. ^ jveitch. "Central Clinical School". Retrieved 16 July 2015. ^ webmed. "School of Public Health and Preventive Medicine". Retrieved 16 July 2015. ^ webmed. "Department of Epidemiology and Preventive Medicine". Retrieved 16 July 2015. ^ ahince. "Department of Forensic Medicine". Retrieved 16 July 2015. ^ "History and aims". Monash University. 30 March 2009. Retrieved 1 April 2010. ^ "IITB-Monash Research Academy". Archived from the original on 10 March 2010. Retrieved 1 April 2010. ^ "Plans for new IITB-Monash Research Academy released". Monash University. 3 August 2009. Archived from the original on 7 August 2009. Retrieved 1 April 2010. ^ "IITB-Monash building a welcome addition - Monash University". ^ "Monash University wins licence for R&D riches with China campus". The Australian. 23 April 2012. ^ Australian Government Department of Foreign Affairs and Trade (28 May 2012). "Opening day remarks, China International Fair for Trade in Services, speech". Australian Minister for Trade - Trademinister.gov.au. Retrieved 30 September 2013. ^ "Monash first to move into China". Afr.com. Retrieved 30 September 2013. ^ John, From (18 March 2013). "Ballarat University to join Monash University Gippsland". Gippslandtimes.com.au. Retrieved 30 September 2013. ^ "What is Monash College?". Monash.edu. 3 July 2009. Archived from the original on 9 April 2010. Retrieved 2 May 2010. ^ "Our locations". Monash University. Retrieved 21 December 2018. ^ Preiss, Benjamin (18 December 2013). "RMIT University vice-chancellor Margaret Gardner set to be first woman to lead Monash University". The Age. ^ Good Universities Guide 2010. Melbourne, Victoria, Australia: Hobsons. 2009. p. 341. ISBN 978-1-921199-39-4. ^ Trounson, Andrew (4 November 2009). "Monash tops course popularity". The Australian. Retrieved 1 April 2010. ^ "Monash continues to be Victorian university of first choice". Monash University. 5 November 2009. Archived from the original on 12 November 2009. Retrieved 1 April 2010. ^ "Monash University Annual Report". Monash.edu.au. Retrieved 22 December 2011. ^ "Monash University". Times Higher Education (THE). Retrieved 28 December 2016. ^ "Research capabilities". Monash.edu.au. 17 May 2013. Retrieved 1 September 2013. ^ "Home - Biomedicine Discovery Institute". www.monash.edu. Retrieved 28 December 2016. ^ "Welcome to ARMI". Retrieved 16 July 2015. ^ "Castan Centre for Human Rights Law". Retrieved 16 July 2015. ^ Netki Pty Ltd. "Home". Melbourne Centre for Nanofabrication. Retrieved 16 July 2015. ^ "Will this save millions of lives?". The Age. Melbourne. ^ "Rare Books Collection". Monash University. Retrieved 1 April 2010. ^ "Exhibitions". Monash University. Retrieved 1 April 2010. ^ "MUMA – Monash University website". Monash.edu. 29 October 2010. Archived from the original on 18 January 2012. Retrieved 22 December 2011. ^ "50 years of art". Monash Magazine. Monash University. 22 May 2008. Retrieved 1 April 2010. ^ "MUMA Monash University Museum of Art". Monash University. 24 February 2010. Retrieved 1 April 2010. ^ "Charlotte Day". Art Almanac. 19 February 2013. Retrieved 21 December 2015. ^ "Switchback gallery". Monash University. 11 December 2007. Archived from the original on 12 January 2010. Retrieved 1 April 2010. ^ "Monash Association of Debaters". Monash Association of Debaters. Archived from the original on 21 July 2010. Retrieved 25 October 2010. ^ "About Monash Sport". Monash University. 11 November 2009. Retrieved 1 April 2010. ^ "Sports Clubs". Monash University. 30 October 2013. Archived from the original on 4 November 2013. Retrieved 4 November 2013. ^ "Australian University Games (AUG)". Monash University. 22 March 2010. Retrieved 1 April 2010. ^ University Administration, Monash (1969). "Monash University Handbook" (PDF). Monash University. p. 11. Retrieved 16 December 2014. ^ a b "Monpix - Marist College". Monash University. Retrieved 28 November 2016. Notes: 24 March 1970; affiliated with Monash; purchased by univ in Feb 1978 and renamed Normanby House. ^ "On-campus Options". Residential Services, Monash University. Retrieved 28 November 2016. Single room in a traditional hall of residence: Available in Clayton (Residential Village), this (these Halls - Deakin, Farrer, Howitt, Roberts, Richardson and Normanby House are) more traditional college-style experiences, with single rooms and shared facilities. ^ "Clayton Residential Village". Residential Services, Monash University. Retrieved 28 November 2016. In our 'corridor-style' residences, (i.e. Deakin Hall, Farrer Hall, Howitt Hall and Normanby House) rooms are arranged along one long corridor on each floor. There's one (sometimes two) shared kitchens per floor - and it's your floor that becomes your 'community within the community'. ^ a b "Clayton Residential Village". Residential Services, Monash University. Retrieved 28 November 2016. The 'stairway-style' residences (i.e Richardson and Roberts) are a little different. There are four rooms on each floor, connected vertically by a stairway to similar floors above and below..
^ "Monash Records and Archives Image Database Search: Image 2494". Monash University. Retrieved 1 April 2010. ^ "Mannix College". Mannix College. 25 February 2010. Retrieved 1 April 2010. ^ "A Short History of Mannix College". Retrieved 25 June 2010. ^ "News and Media Releases | About Us" (PDF). Suncorp Bank. Retrieved 30 September 2013. ^ "Biography | Australia's Chief Scientist". www.chiefscientist.gov.au. Retrieved 28 October 2017. ^ "News Releases | Boston Scientific". Boston Scientific. Retrieved 12 March 2018. ^ Chandler, Jo (10 April 2010). "Nuclear nemesis". The Age. Retrieved 7 October 2017. ^ Victoria, Supreme Court of Victoria, State Government of. "Judges". www.supremecourt.vic.gov.au. Retrieved 28 October 2017.